Do your shoulders slump and round when you walk, sit, or stand? Do you have trouble keeping your chest up when squatting under a bar or lifting heavy things off the ground? Do you get lower back or neck pain when doing twisting or rotational movements? Have you resigned yourself to living with that nagging rotator cuff pain that flares up during workouts and in bed? If you answered “yes” to any of those (and most people will answer yes to at least one), you may have poor thoracic spine mobility. Even if you don’t notice any of the symptoms leaping out at you, it never hurts to get more mobility, especially in the thoracic spine. And establishing good habits by actively maintaining and training mobility, as opposed to being content with what you have (even if it’s not optimum), is always a good move. Scoff at the prospect of thoracic spine mobility all you want; you still gotta have it. You can read a ton about it nowadays on the better fitness blogs and forums, but mainstream thoracic spine awareness is fairly recent. It used to be the sole province of specialized physical therapists and chiropractors (and even they failed to emphasize mobility), and the general citizenry have lived their lives without even considering the nuances of the various spinal vertebrae. They know “lower back” (because it probably hurts on a regular basis!) and they know “spine,” and that’s it. They’re bending with their lower backs, misusing their lumbar spines, while their thoracic spines curve from misuse. As a result, a nation of chronic shoulder slumpers has developed, and when those slumpers attempt to lift heavy things, pick up groceries, and throw footballs with their immobile, underutilized thoracic spines, bigger, acute injuries arise. After the hips, thoracic spine mobility is probably the most crucial aspect of mobility. At least with the hips, though, people can identify them and grasp the concept of hip mobility just by reading text on the computer. Sticking your hips back is pretty self-explanatory. What about the thoracic spine? It’s a bit more nebulous. Do you know how to use your thoracic spine? Are you even aware that it exists? Honestly, I doubt it. It’s not that people ignore the thoracic spine willfully; it’s that they’re unaware of any distinctions between spinal and lumbar vertebrae. 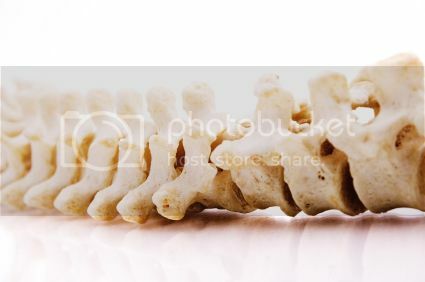 They know about the spine, and imagine it to be a uniform vertebral column, equally capable of bending, twisting, and rotating along its length. This is totally understandable. “Spine” is what we hear, not “thoracic spine” or “lumbar spine” or “cervical spine,” but it’s much more than that. People simply don’t know any differently. And if you do hear about the thoracic spine from an “expert,” they’re liable to tell you the thoracic spine is meant to be immobile. Yeah, I don’t get it either. Maybe they’re just so used to working with folks who have immobile thoracic spines that they can’t even imagine a mobile one. We have to know what we’re talking about when we use words, or else they’re useless or dangerous. Words describing anatomy, anatomy that figures prominently into dynamic human movement pattern, require special care. 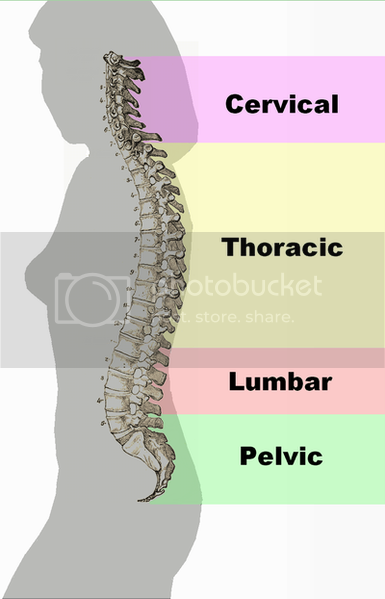 The human spinal column is composed of five segments: the cervical spine, which extends up the neck to the base of the skull; the thoracic spine, which encompasses the shoulder and chest area; the lumbar spine, also known as the lower back; the sacrum; and, finally, the coccyx, or tail bone (the last two of which are lumped together as “Pelvic” in the graphic to the right). The various vertebrae weren’t given different names for fun. Each performs a different role. Each has different capabilities, different functions. Most importantly, each segment of the spine is designed for a certain range of motion. We’re mostly concerned with the lumbar and thoracic spine. The thoracic spine is built for rotation, flexion, and extension. It is highly mobile – or, rather, it has the potential for lots of mobility. Because of its mobility, the thoracic spine must be used, must be moved. But it has to be known. If people are unable to visualize and feel the movement of the thoracic spine, or if they’re unable to even grasp the concept of its existence, they’ll just attempt to twist, rotate, flex, and bend with something familiar to them: the lumbar spine. That’s bad news. The lumbar spine is built for stability. It’s supposed to support the weight of the body (plus any added weights) and resist excessive rotation and twisting. It remains stable and acts as a conduit for power generated by the hips and fed to the mobile thoracic spine. It is not meant to twist and bend and do all sorts of the acts that active, thoracically-immobile folks expect it to. It can move, obviously, but it’s not meant to be wildly mobile. It’s meant to be solid, reliable. 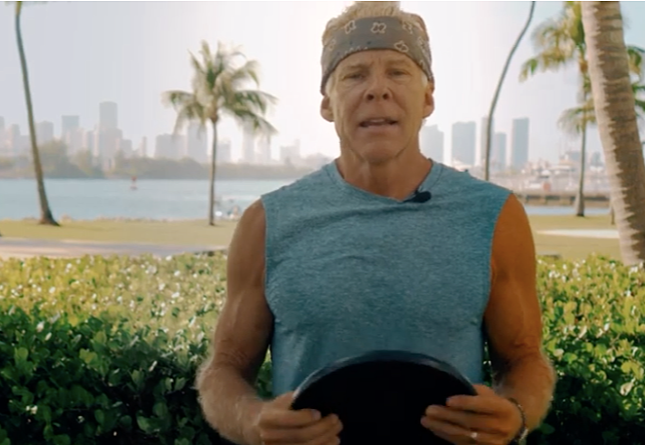 Popular fitness trends have gotten people obsessed with “working the core.” I have no qualms with the idea of “working the core,” but people tend to fixate solely on two aspects of the core. Isolate the abs and the lower back. Crunches and weighted lower back extensions. The “core” is much more than a six pack and some lower back musculature. It’s the hips, it’s the lumbar spine, it’s the abs, and it’s the thoracic spine. The real danger in thoracic spinal immobility lies in its seeming innocuousness. Because thoracic spine immobility is so commonplace, people don’t notice that anything is wrong. Nearly everyone slumps when they sit, and very few people perform the type of exercises that require full range of motion in the spine. You can get away with poor mobility if all you’re doing is isolation exercises on machines, just as millions of people “get away with” the SAD. How many times have you told people who balk at your eating habits to just “try it for thirty days and see how you feel”? If you’re (they’re) lucky, they’ll ditch the sugar and the grains and notice an incredible difference. But you’ll never know the difference until you give the other side a fair shot. You’ll never know how beneficial a mobile thoracic spine can be without developing its mobility. 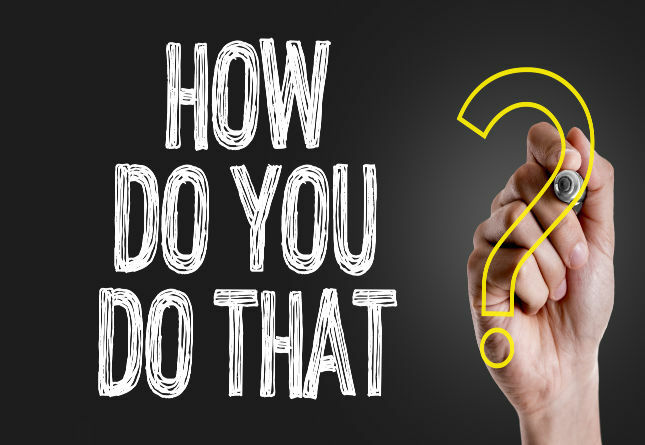 C’mon – you trusted me on grains, sugars, and vegetable oils, didn’t you? You’ll find that an immobile thoracic spine isn’t just bad for the vertebrae themselves. It’s bad for your lower back and your shoulders, too. In fact, you’ll rarely feel actual pain along the twelve vertebrae that comprise your thoracic spine. Instead, your lower back will take over work for which it’s really not designed, getting chronic pain for its troubles, and your scapula (shoulder blades) will compensate by moving away from the spine, making overhead shoulder work difficult, dangerous, and painful, and a rotator cuff injury nearly inevitable. Everything in the body is linked, remember, and you can’t remove a major player from the equation without seriously affecting the balance. Lack of kyphosis – The bowing of the upper back, endemic in offices across the country, is almost entirely due to poor thoracic mobility. Improve your mobility, try to cut back on all the sitting, and your posture will improve and your pain will go away. A less painful, more stable lower back – Your lumbar spine will be free to provide stability, rather than make up for your lack of mobility. More lung volume – Improving mobility and reducing kyphosis actually increases lung capacity. Healthier shoulders – No longer will a rounded upper back prevent natural scapular action during overhead movements, thus reducing the chance of rotator cuff impingement. For a fun (scary) test, exaggerate the round in your upper back; create a real hump, then try to press your arms overhead. You don’t want that to be your regular state, do you? Greater range of motion – By finally engaging your thoracic spine in times of spinal rotation, flexion, and extension (like throwing a ball or a punch), instead of your lumbar spine, you will get stronger, faster, and more explosive in those movements. In sum, it is important to develop thoracic mobility in a precise way that allows healthy spinal architecture and movement and not in a wanton way that threatens your skeletal integrity or scaffolding. Loosening up the thoracic spine and then using that extra mobility to round or distort the spine further while sitting or standing is in some ways worse than being inflexible. It is therefore crucial to be conscious of posture as well, so that your whole spine is well-aligned throughout your day, and any extra mobility you create in your thoracic spine works to your advantage and towards making you straighter and taller. To learn more about your spine and posture, and whether you have back pain or not I highly recommend the Gokhale Method handbook, 8 Steps to a Pain-Free Back. Tomorrow, I’ll introduce a few strategies for regaining and maintaining thoracic spine mobility. Thanks for reading and Grok on! I’ve been going through the book Magnificent Mobility by Robertson and Cressey and it’s been a great help. It goes over tons of excercises and is another great resource, and those two authors are pretty well respected. I’ve been working with a physical therapist the past few weeks for this exact issue. I keep injuring myself because I think I’m 20 still, and I never did those mobility excercises or realized how weak my glutes are or how immobile my thoracic spine is, until my physical therapist told me i basically wasn’t moving at all. When you first announced Maya’s presentation at PrimalCon I almost signed up then and there (too expensive for this east coaster, though). I did however get “8 steps to a Pain-Free Back”; easily one of the most worthwhile investments I’ve ever made, right up there with the Primal Blueprint! It’s such a great book. I’ve really improved my sitting, standing, and bending. I’m not perfect by any means, but I’ve been complimented on my posture due to some of those changes. Awesome post! You have to use freeweights to even know – in an intuitive sense, maybe without words to put to it – that this is an issue. This is critical in the battle against forward-head posture and slumped shoulders, which I see universally, in both teenagers and adults. Actually having good posture, is IMHO, very uncommmon. I had been doing some yoga at home for a while and then saw somewhere that the shoulder stand and plough are not recommended because you can overstretch things. Is this what you mean? Mark, I’m always amazed at the wealth of information in your blog. What impresses me the most is that you have a new post everyday, and they’re all very well written entries. How do you find the time!? Hats off to you, man! This post reminded me to book an appointment with my chiro. I need an adjustment. Spine health is critical. Very important subject. With most of us sitting in the same spot for 8 hours a day and not moving much. I have a few worries about my father. He used to be a pharm. sales rep before getting laid off. He would drive around all day and walk into several offices each day. Thus, he walked around a lot and was rarely sitting in the same place for a long period of time. Today is A LOT different. He has been day trading for the past 1.3 years and sits pretty much all day long. I purchased a stand up workstation for myself which has helped me A LOT. Of course as I type this I am sitting down… lol. I am about to move to my standup workstation. Thanks for the reference of the book again – I will definitely buy it soon as it has sick reviews – 5 Star average – just like The Primal Blueprint! This post makes me more aware of my posture during the day which is a necessity! I just finished blogging about the inter-connectedness of our bodies and then read today’s MDA blog! You did it again Mark, you read my mind. Spinal mobility the pivotal point of all movement. I can’t wait for your post on regaining spinal mobility! I’m 31, have been slouching since grade school, and have had a typing job since 2003 with no option of standing. Needless to say, my shoulders are very rounded, my profile bothers me tremendously – looks like my neck comes out from the front of my chest(hard to explain) rather than sitting atop my spine; and I can’t even hold a squat bar behind my head – the flexibility just doesn’t exist for both hands to touch the bar behind my head. I hope your techniques will help, I don’t want to get worse with age. Thanks Mark!!! So that’s what you call it! I never suffered lower back pain (knock on wood), but often have a sore “middle back.” Wherefore do I slouch so? It’s hard not to slouch sitting at a computer. My head slowly moves forward and is no longer balanced on the neck, then the rounding of the shoulders begin. Then I end up slouching to the left to lean on the chair arm. Yep, that middle back doesn’t like that at all. It feels unnatural to sit back on the sitz bones and “stack” your body over the hips. I was doing good with sitting and standing last year, but stopped working on this and ended up with an unhappy back. I’m really trying to be consistent about it now. I do wonder whether my troubles with squatting is due to hip mobility issues or the thoracic spine? In the past, I’ve had rotator cuff problems, upper back pain, neck troubles, and an ability to throw my back out with any twisting movement. I can’t wait to read what Mark has to say tomorrow! I’m standing while reading this at work! Looking forward to your post tomorrow! Thank you so much for this post!! I read your site nearly every day and try to apply as many of your principles of health to my life! I am a huge advocator of health promotion which is why I am currently in Chiropractic College. I am so excited that you have included spinal health in your blog. Put in a good word for the Chiro’s when you get the chance! 🙂 And remember we are not only trained in spinal manipulation, but also other modalities including deep tissue massage and exercises for both prehab and rehab! Straight chiropracTOR’s adjust(not manipulate) to remove subluxation to allow innate to flow 100% and that is all! Modalities, prehab, rehab, and massage all have their place but not in principled chiropracTIC! I hope that a discussion of chiropractic will be included in tomorrow’s post. I’ve been seeing a chiropractor frequently for the past 1.5 months and the difference is amazing. I can feel is especially when I am working out. Excellent post. Thanks very much. May the awakening about the dangers of poor posture grow. There is a great need for thoracic mobility and stability. The need is associated to the sedentary trend and activities such as texting and laptops etc. rise. Compounding this is the increasing weight of our population that adds greater loads on the less active spine. Like our economies, there is a critical point where back health becomes a national crisis. We would point your attention to the PostureJac, hhtp://www.posturejac.com, as a useful tool to help users develop stability and mobility. It has a unique approach to reconditioning the body by emphasizing an upward lift – like those who transport heavy loads on their head. If people can instill those habits into their motor memories, it can become a natural way to build conditioning and mobility into daily activities. Great article. I am particularly concerned with the Thoracic spine because I have a sharp pain in this area. I have been to two phyisotherapists, an osteopath, a rheumotologist and many trips to the doctor, all ordering bone scans, x-rays and MRI’s. The latest diagnosis is that it is a facet joint problem and I am to visit an anaethetist to get a cortisone/local anaesthetic injection in the joint – which is rather invasive. And I’m only 26! Can’t wait for tomorrow’s post! Yay. . .I can’t wait to read tomorrow’s post–this is a big area of concern for me. My scapula hardly move–I’m a lifelong huncher. Thanks for bringing this to the website! The scapulae should not have a lot of motion. It is actually a stable joint, the mobility coming from the thoracic spine, shoulders and cervical vertebrae. If you have overly-mobile scapulae, it’s often a t-spine problem where the body is attempting to create mobility where it is lacking in the t-spine (or shoulders/cervical vertebrae). If there is a change in their role, it causes the link of the chain up or/and below to go into dysfunction, creating compensation for the lack of mobility/stability. I love my Chiro..thanks for reminding me to go stop my and visit for a “tune up”! Reading some of these posts makes me extra happy that I never had a desk job!The restaurant business is tough, but there is never a second of “sit” time! Busy weekend coming up! Happy Mother’s Day! Interesting post — I can’t wait for tomorrow’s. As a clarinet player, I have to sit with “correct” posture often in order to maintain proper air support, but the tension I’ve been getting in my shoulders has been telling me for a while now that something is amiss. I’m hoping tomorrow’s post will shed some light on it. This also reminds me a bit of what I learned when I was studying the Alexander Technique. I’m curious if you’re familiar with it and what your thoughts are. I would like to see how this relates to doing proper chin/pull ups. My shoulder has been sore along the scapular area for a few days after doing some unassisted chin-ups so I’m backing off those for a while. Your Hip mobility article last week has already helped me a lot. Got a foam roller and have been using it. Thanks! Great Article, Mark–looking forward to part two. To the guy a couple posts ahead of me who asked about how this relates to pull-ups, it’s very relevant! When performing pull-ups, try to keep your shoulder blades down near your spine rather than letting them shrug up by your ears. Disregard for proper positioning during these types of movements is asking for trouble! Would performing pull ups with a wider grip help prevent that problem??? I see that some people with a narrow grip tend to “scrunch up” more than others. Just a thought. Wide grip pull-ups are great, and it may be easier for some people to feel the difference between proper scapular position and the “scrunched up” position that we’re hoping to avoid, but a fit person with good proprioceptive skills should be able to do safe, effective reps with just about any type of grip. I always encourage people to do various pull-up grips in order to keep the stimulus changing and hit the muscles from different angles. Pull-ups are my favorite exercise! Great post, Mark, as per usual. A lot of the patients I see with chronic upper back problems usually have desk jobs. Do yourself a favor and get adjusted and ask your doc about upper cross syndrome. This is a muscle imbalance issue usually caused by poor posture brought on by prolonged sitting or standing. The pecs, upper traps, scap levators, and suboccipitals are overactive while the deep neck flexors, rhomboids, lower traps, and serratus muscles are inhibited. (I also see this in so-called “weightlifters” who train the beach muscles while neglecting the back). The shoulders rotate inward, the head droops forward, and the back becomes rounded. Neck pain, back pain, headaches, and arm radiculopathy usually aren’t far behind. Adjustments, exercise, and stretching work like a charm for this condition. A proper exercise program that accentuates full body movements (wonder where that could be found???) will prevent this problem for those stuck in a chair all day. This is a great article full of great info. But you left out the “how”!!! What types of movement and exercises use the spine properly? Or is this coming tomorrow? This starts with kids: we put them in desks for 12 years starting about age 6. Some of us ride a desk until retirement. For contrast, look at aboriginal people who have never sat at a desk. What great posture and wide-open chests they have! Awesome post! Mobility is only a portion of the equation. What about all the nerve roots and organs that are affected from the lack of movement in the spine? If a vertebrae has deviated from its natural position even if only a small amount 100% function and performance cannot achieved. In addition a subluxation in T9 can cause overactive adrenals to produce an excess of cortisol. Find a principled chiropracTOR and live up to your fullest potential! So, so true. Unfortunately, most people only equate spinal health with pain and range of motion. They so often forget that spinal dysfunction also causes major damage to the nervous system, which only effects well, you know…EVERYTHING!!! The upper cervical subluxation / high blood pressure correlation is a PERFECT example of this relationship. Summertime is very brief and intense here in Massachusetts. P.S. I hope Cervical Mobility is up next because I broke C2 and C3 when I was 19..(I am 37 now)along with lots of other damage..and never did have the “stabilizing” surgeries that were recommended…And you would NEVER know I ever broke my neck..but I still love my Chiropractor! Re. “Tomorrow, I’ll introduce a few strategies…”, this website design really needs a pair of prominent “previous post” / “next post” links at the top or bottom of the page. Your site would be stickier, and I’d already be reading tomorrow’s post.